I went into this sleeping bag purchase knowing full well that I was making a compromise. If I had the extra funds I would run a 4-bag system that would provide the luxury of choosing exactly the right bag for the conditions that I was expecting. Like most of you I don’t have an endless supply of spare funds and needed to choose one bag that I knew wouldn’t be ideal in every circumstance. It did need to allow me to be comfortable on the coldest hikes that I do which is around minus 6-7° Celsius (20° Fahrenheit). 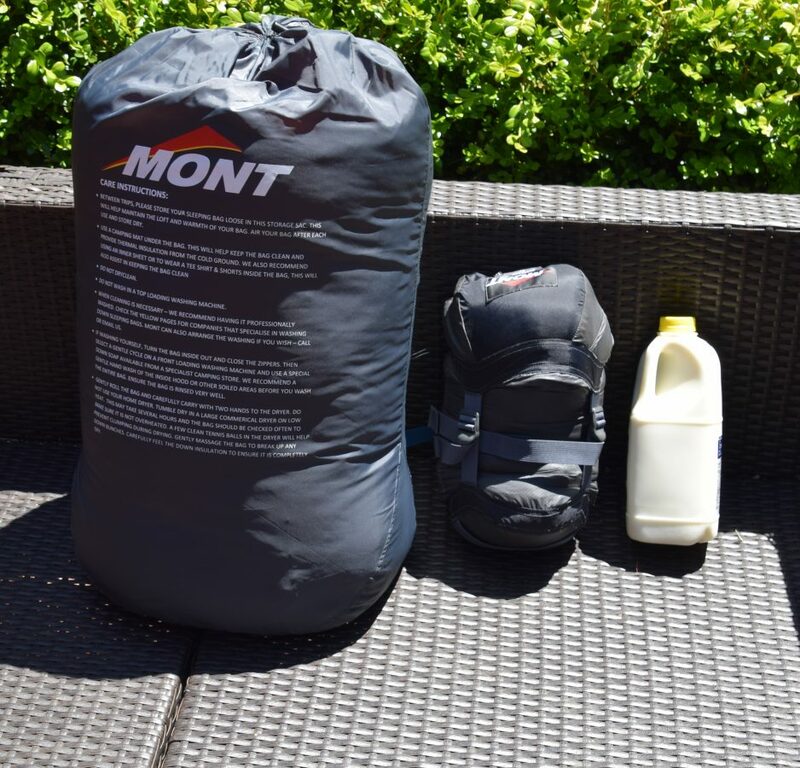 I spent two months researching my choices and in the end I chose the Mont Beedleup XL Down Sleeping bag. Having worked outside for most of my life I have a very high threshold for cold and usually wear little clothing to bed even on the coldest night camping. In the case of the Mont Beedleup bag which is rated as a minus 4 degree men’s comfort level (EN13537 scale), I knew this would easily keep me cosy and warm well past its rated level. I’ve had this bag for almost 12 months now and at minus 2°I’m still sleeping with minimal clothing, a partially unzipped bag and I’m not using the bag hood. So I am confident of being comfortable down to my minus 7° once I fully rug up. 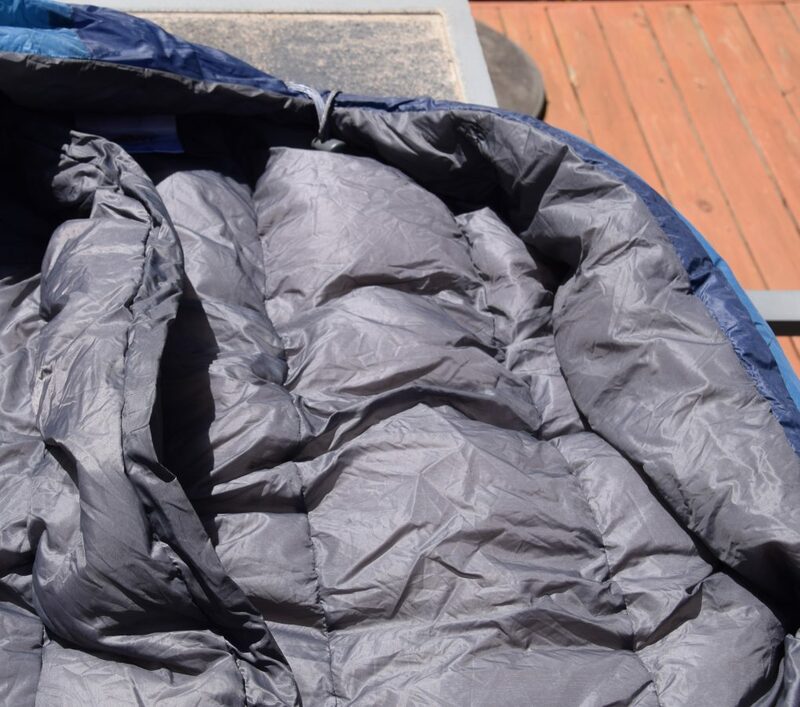 In fairness I also use a fairly warm sleeping pad and a silk liner to keep the bag clean so this helps with my overall warmth and minimizes heat loss through the ground. 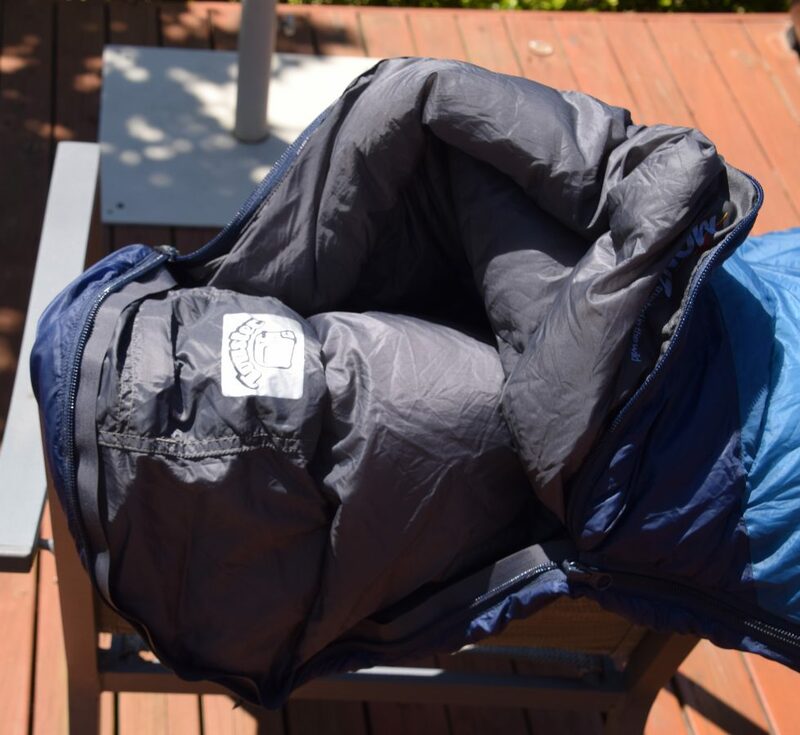 The Beedleup comes in an XL size and at just on 189cm I really had no choice unless I wanted to jam myself into the average sleeping bag which tends to suit a person of around 185cm. I have a king size bed at home so wasn’t about to compromise on a good night’s sleep by getting a bag that was too short. This additional length also adds some weight and while I would have liked a more lightweight bag I couldn’t justify the price of the ultralight bags at the time of my purchase. Many of the ultralight bags also tend to only have a ¾ zip so are less versatile in warm conditions. As far as water resistance goes most modern high quality down bags have a good degree of water resistance built into their construction through either the materials used or the waterproofing applied to those materials. As I don’t tend to hike in conditions where I get wet for long periods, I didn’t see the need to opt for a heavier synthetic bag which would provide a high degree of warmth when the bag was wet. My last criteria was the need for the bag to be relatively small when packed to allow me to fit all my gear into my newer smaller backpack. 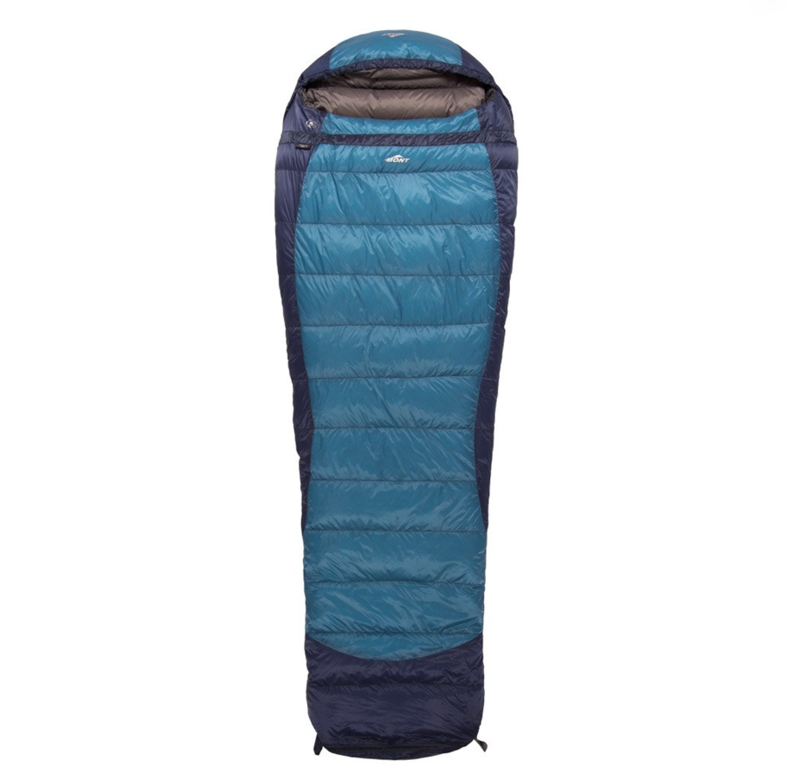 While not the smallest sleeping bag on the market, the Beedleup strikes a good balance in this area and is definitely much smaller and lighter than the bag it replaced. As a one size fits all bag this is an excellent choice and one that I would be happy to recommend. This sleeping bag is the best bag I have owned but when choosing a single bag for all your hiking needs there are going to be down sides.